National reconciliation and peace is unavoidably important for Myanmar, it is not a matter of choice, said Myanmar State Counsellor Aung San Suu Kyi on Wednesday.Suu Kyi made the statement at the start of her three-day visit to Singapore, Xinhua news agency reported.This is Suu Kyi's first official visit to the city state since her appointment in March 2016. "We do not want our country to be unstable, but we have had a long history of disunity within our nation. National reconciliation and peace is unavoidably important for us. It's not a matter of choice," she said. "We have to achieve peace and national reconciliation so that our country can progress. "She expounded the government's new investment law and economic policies, exchanged ideas with senior representatives from Singapore businesses.Suu Kyi said the newly-passed investment law is intended to be business-friendly, and will provide the security that investors wish to see. 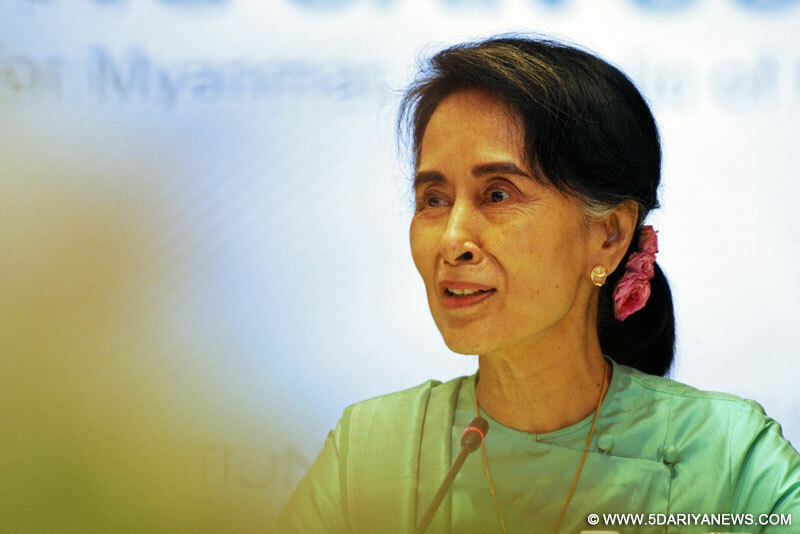 Myanmar is open to feedback on the country's rules and regulations, she said.She recounted that Singapore's former Prime Minister Lee Kuan Yew had said that in twenty years' time, the nation will have caught up with Myanmar. "I think we have to change that a bit -- in 20 years' time, Myanmar will have overtaken Singapore," she said, adding that she hoped Singapore will help Myanmar do that.Suu Kyi also called on Prime Minister Lee Hsien Loong, who said the two countries will discuss a bilateral investment treaty and update an agreement on avoidance of double taxation.Myanmar and Singapore established diplomatic ties in 1966. Singapore is Myanmar's second largest investor after China with an accumulative investment of $15.596 billion as of October this year.